We offer Liquid Level Controllers, made from quality components that ensure that they are water resistant, flame resistant, and heat resistant. These controllers we offer are made from a variety of material based on the application they are used for. 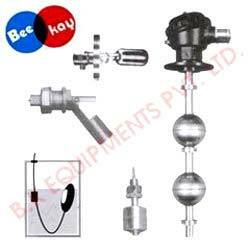 These switches help in optimizing liquids in any process they are used while also cutting down on wastage. We are a manufacturer and exporter of repute from Chennai in India.